Use NICOLETHENOMAD for a discount! 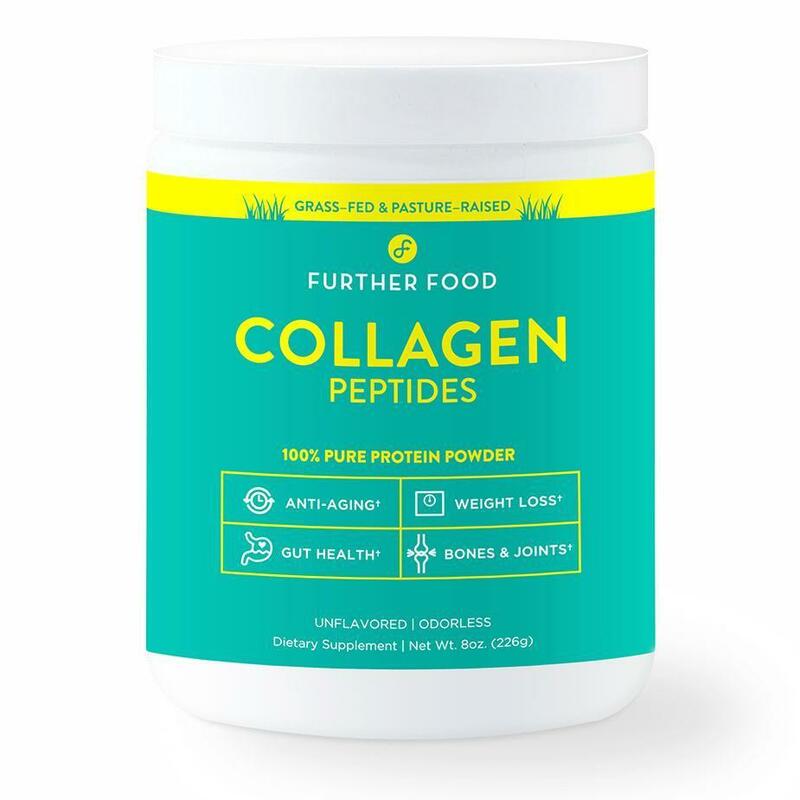 Further Food Collagen Peptides is the ultimate anti-aging protein powder – daily use promotes weight loss while reversing wrinkles, strengthening hair and nails, improving gut health, and reducing joint stiffness and pain! Our collagen protein powder quickly dissolves (with no flavor, smell or gelling) and can be added to your favorite beverages or meals. Just scoop, mix, and go further!